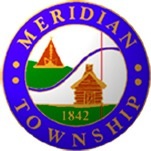 On Saturday, October 31, 2015 the Meridian Township Police Department will be hosting its annual Halloween Open House from 10 am to 1 pm. Visitors can tour the Police Department Public Safety building at 5151 Marsh Road, visit with McGruff the Crime Dog, sit in a patrol car, see the police canine, and have an opportunity to win prizes. Officers will also be conducting car seat inspections during the open house. "Our Halloween Open House is a great way to highlight the fun of Halloween for children as well as creating a connection for community members to meet out team, tour the police building and have a great time," stated Lieutenant Ken Plaga. Halloween treats of cider and donuts will be served. Youngsters will receive a candy bad and glow stick to use for their evening trick-or-treating fun. There is no charge for this event and costumes are encouraged! For more information please visit www.meridian.mi.us.